An education and action nonprofit based in Austin, Texas, The Nobelity Project amplifies the impact of our community partners by telling their stories and funding critical needs. Supporting education and health initiatives around the world, we reach thousands of young people and their families every day. Whether building schools and libraries in Kenya, a bookmobile in Honduras, or through engaging American students through our films and classroom materials, The Nobelity Project is working for a better way. On Screen, The Nobelity Project collaborates with Nobel laureates and other inspiring leaders and community partners to create short and feature films on global issues and move people to action. In Schools, we work with students across the US on the issues that will affect their futures and the futures of all the world’s children. In Action, we work with partners from Texas to Nepal on projects impacting education, health, and the environment. 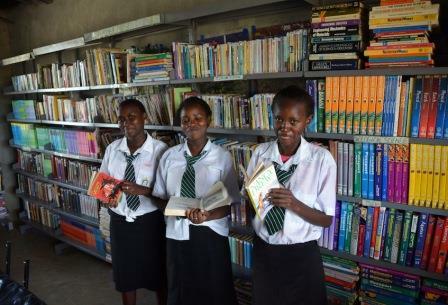 The Nobelity Project's largest education program is our Kenya Schools Fund, which collaborates with twenty rural Kenyan schools to build classrooms, libraries, computer labs and clean water systems. Our award-winning feature documentary, Building Hope (Audience Award winner at SXSW Film Fest) tells the story of our partnership with the community of Mahiga, Kenya to build the area's first high school. Mahiga Hope High School and Mahiga Primary now have over 600 students in 14 grades, with graduates continuing on to college. 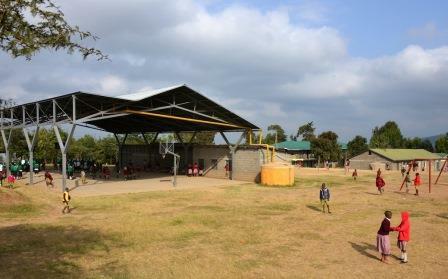 Our current Kenyan school projects include a ground-up construction of a new school for Konyit Primary and a new affordable and replicable preschool design that we are building at multiple primary schools. In Honduras, The Nobelity Project has collaborated with Sandcastle Library to build and operate a bookmobile that carries 4,000 books and improves literacy for 14 remote village schools with 3,500 students on Roatan Island. In Texas, we are working with local middle schools and high schools, and with Bastrop State Park - site of the worst wildfire in Texas History - to educate students on the global ecology of forests and bring students to the park for an expansive replanting effort. Our students and other volunteers have now planted 35,000 trees in the park.